We bend the retired Napa wine barrel rings by hand and carefully weld them to a piece of recycled steel that makes a rounded “box” that lets tons of light through and makes a fabulous design statement. 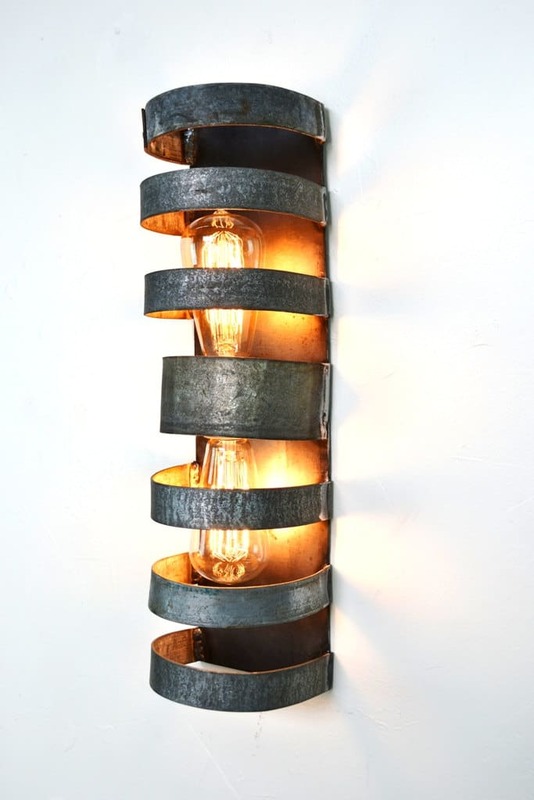 Its rugged simplicity looks great with the bulb on or off. The back plate is 100% recycled steel and has a metal UL plate on the back for the electrical box connection and small front screws for attachment giving the effect that it’s floating on the wall — truly delightful! 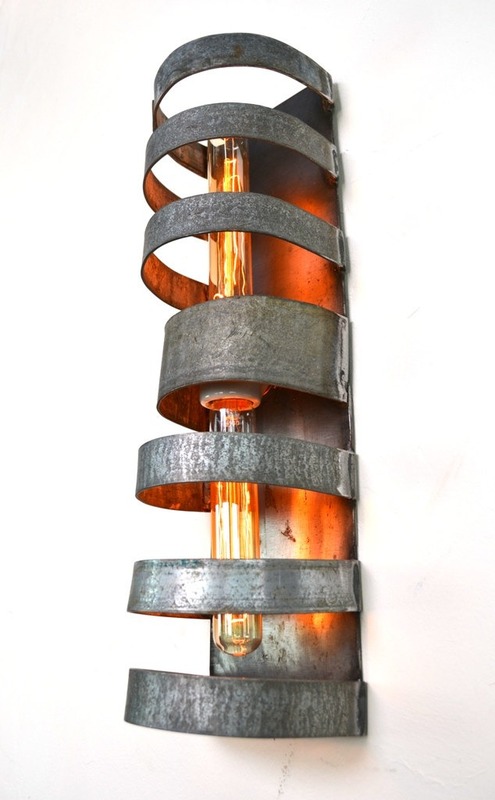 Can be mounted vertically or horizontally.